It was a cold and blustery day that ended in snow for the 2018 Beggin’ Pet Parade during the first weekend of the Mardi Gras celebration this year in Soulard. But, we had many die hard dog (and other pet) owners join us for the fun on Sunday, February 4th. Our Parade Grand Marshals this year were Alex Ferrario from KMOX and our own Tracie Quackenbush. Thank you to Purina for sponsoring this event each year and allows the registration donations to go to Open Door. 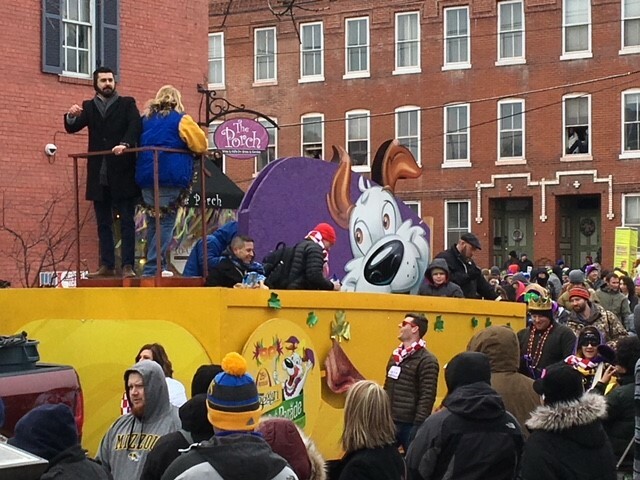 Mark your calendar for the 2019 Parade on Sunday, February 24th in Soulard!